3.5mm output can not connect headphones, only connect the amplifier for analog input. 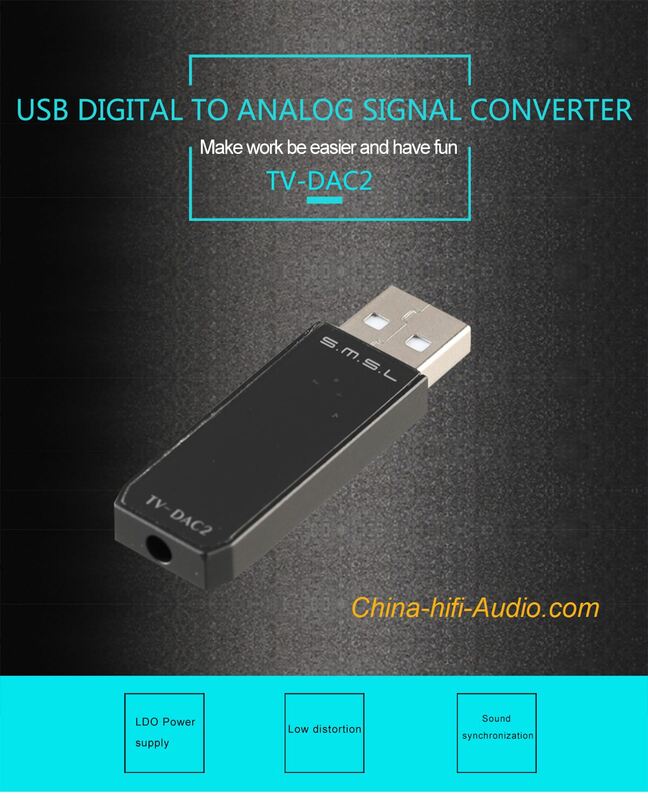 Suitable for some amplifier which can not read digital signal. 1. Design portable, shell made of solid aluminum CNC machining, exquisite workmanship. 2. To improve sound quality ofthe TV and computer. 3. Using latest and best compatibility USB solution. 4. High-quality design, and mostly use advanced components.